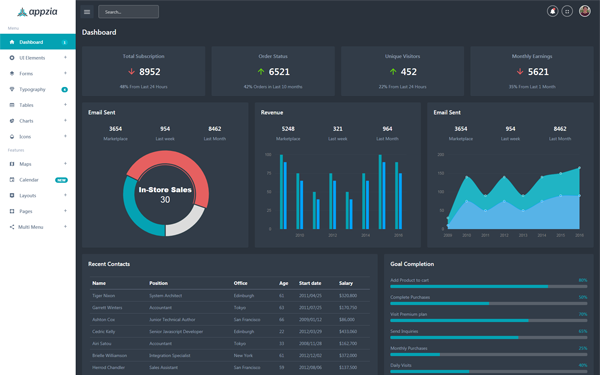 Appzia is a bootstrap 4 based fully responsive admin template. It comes with lots of reusable and beautiful UI elements, widgets and features. It allows developer to easily build a super awesome web application. 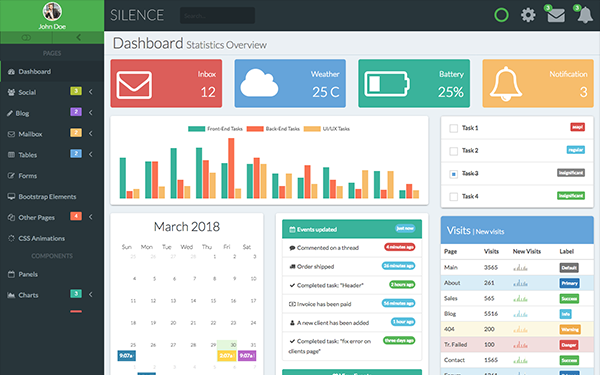 Silence is fully responsive single page dashboard template built with Bootstrap 3+, Vue.js and Vue Router. The theme is fully responsive, easy to customize, and the source code is clean. This template comes with a collection of easy to use components and widgets.